"Love isn't easy. For hopeless romantic Brian and struggling writer Lee, the pursuit of love has been difficult. That is, until they meet the heroine! Can she help fill their lives with romance? Maybe even find some herself? Everyone's a fool in love, but the heroine is here to help!" Please feel free to report any bugs or errors that you encounter while playing. Thank you to all the people who helped out making this game!! I honestly couldn't have made this game without you guys! If you are a mac user, please be sure to download the mac specific file! 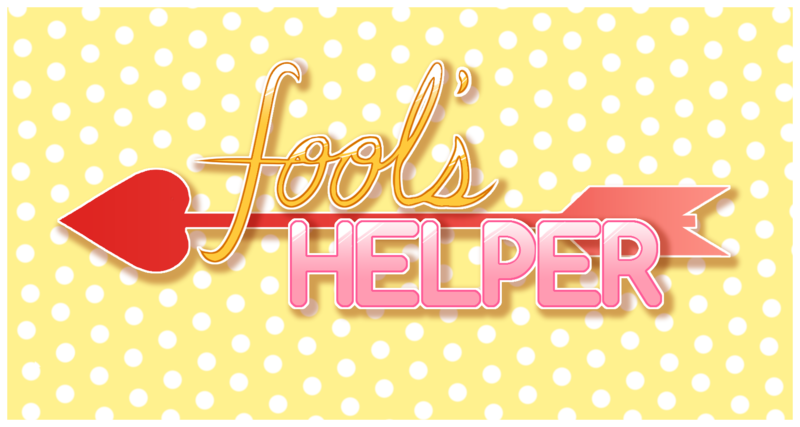 Fool's Helper now available in Spanish! I loved it! It was very funny, and at times I actually laughed out loud. 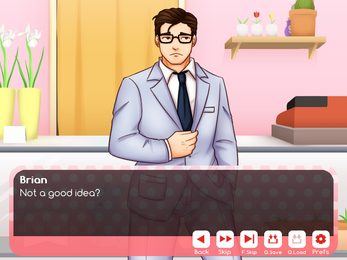 That doesn't happen with too many games-I think it was the collar discussion on Brian's route that I laughed the hardest. Anyway, I liked the art quite a good deal. 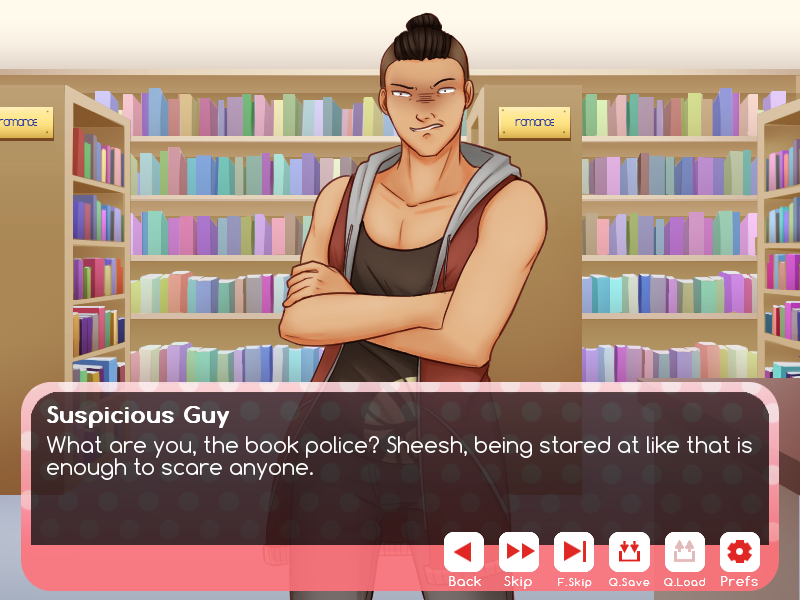 In the CGs, I got to see the heroine, which I like, and the two guys didn't look the same! The character art was very well done, especially the expressions. Vibrant and believable ones. I also like the friendship endings too. They were just as sweet and satisfying as the romance ones, which makes me like this even more! Very well done! As the artist, it makes me really happy to hear your comments about the art ;w; Thank you! 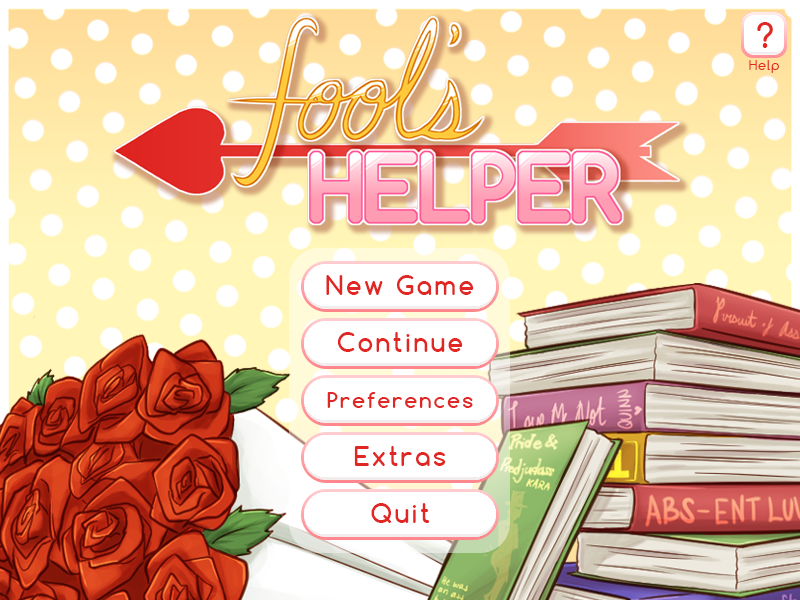 I think a lot of the time in romance orientated VNs, the romance ending is seen as the ultimate/good ending, but I wanted the player to feel that friendship is not a bad end in Fool's Helper. This was cute! Their expression were great oh my god xD I also loved the texting effects... very nice touch. I loved them both, but I think Brian's route was my favorite! Congratulations on a great VN! I can't even begin to describe how happy your comment about my art makes me ;A; Seriously, thank you! Hi there, hehe, I'm the other writer for this game and... oh my gosh, I'm so happy you found it cute! :") Thank you so much for playing!